A portion of the meth was found in areas accessible to children in the home, according to deputies. 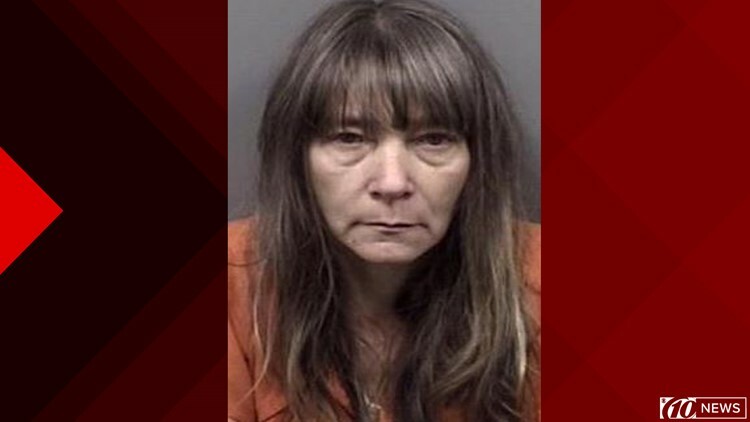 HOMOSASSA, Fla. — A woman named Crystal is accused of selling "significant amounts" of crystal meth. Citrus County detectives issued a search warrant early Wednesday morning for a home on Woodward Place in Homosassa. Crystal Huggins, 47, was arrested following the search and investigation. Deputies say they had to search through "multiple layers" of litter and debris inside and out of the home, which had exposed wiring, open septic and other safety hazards. The home reportedly ran power from a generator and was not power supplied. Eighteen grams of methamphetamine was found inside the home and a portion of the meth was found in areas accessible to children in the home, according to deputies. Detectives also found drug distribution equipment and meth that was "already packaged for sale." "Methamphetamine is an extremely dangerous and highly addictive drug," Sheriff Mike Prendergast said in a news release. "Inside this house, children were within reach of this dangerous drug. "Where is the remorse for the disregard of their lives? We must continue our unwavering efforts to combat the illegal drugs in our community for the safety of our children and our residents." Huggins faces drug trafficking charges and could serve up to three years in prison if convicted. Code enforcement and the Department of Children and Families also responded to the scene.